The blockchain is the shiny new toy in the digital world and it is stepping into the healthcare sector as well. We shall discuss the role of blockchain in healthcare and how technology is useful in storing and transmitting health information. Situational awareness is very essential in the health care sector. The medical professionals will be able to perform to their utmost capacity if they can source and disburse the health information. Nowadays, the health record system is highly digitized but remains totally insecure since organizations are transmitting data between incompatible platforms. The databases and application, as well as equipment used to store the patient information, is susceptible to breaches. Moreover, they feature an extremely low level of interoperability. 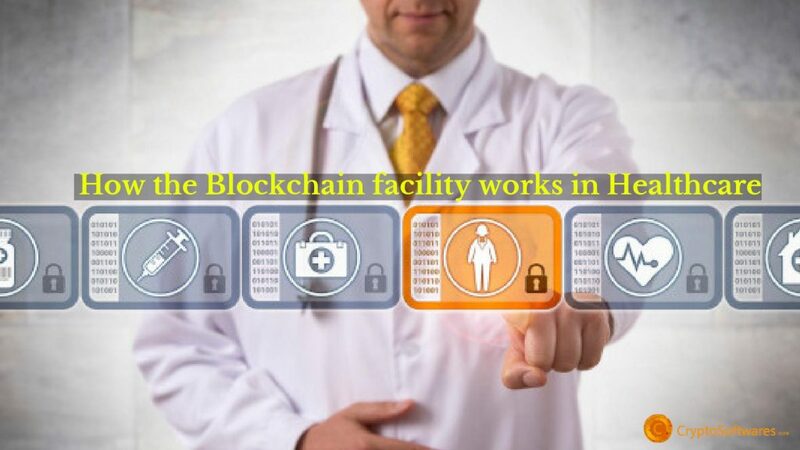 When blockchain technology takes over in the health care sector , the patient is placed at the center of the ecosystem, thereby increasing the interoperability, security, and privacy of the data. Well, before we address the elephant in the room, or rather in the blog, let us delve into basics a bit. Blockchain is a digital ledger that records anything of value. The data is stored in a blockchain in the form of a shared database that reconciles continuously. The absence of a centralized database ensures that the data remains corrupt free and almost impossible to hack. The mutual consensus verifies the transactions and data in the network. Another unique feature of the blockchain network is that millions of computers host the data at the same time. Therefore, it can be verified easily and is fully public. A distributed ledger stores the medical records of the patient. Doctors, hospital administration, laboratory technicians, pharmacists, and health insurers can gain access into the network with permission so that they can serve their purpose and record the data on the ledger. The setup will have a mobile application on which the patient will sign up and gain a unique address and a password for logging into the application. The patient will also have another unique address which will be provided to the health insurer, doctors and the government. The patient can access his medical information at all times. He will give permission to the doctors, to access the same to the doctors or other medical professional as and when they send a request along. Blockchain in healthcare would ensure that the patient is billed only for the treatment rendered to him. Moreover, the health insurer can set up the terms of the contract through smart contracts and provide money almost immediately. A biometric device will be there in every hospital/clinic and the patient will have to punch in for the verification during each visit. A text message will be sent to the card holder’s mobile number instantly post verification. When a patient leaves the hospital, a text message will be sent to the cardholder’s registered mobile number. This SMS will have the details of the bill breakdown and the balance in the card. Notifications will be sent to the card holder’s registered mobile number from time to time. He/she will get a reminder notice when it is time for renewal of the card. When the balance in the card is nil, a similar message will be sent to the card holder’s number. It is true that nothing like the sorts of a blockchain based approach to store medical information is available at the moment but the potential of the advantage of blockchain in healthcare is immense. This would ensure that patients are the ultimate owners of their medical information. They can make sure that they pass on the information to any new physician or hospital in a safe manner as and when they please. Many developers have recognized this potential and is on the pursuit of developing blockchain application for Health care information for storing patient records. We can definitely say that a Blockchain Revolution in Healthcare sector is underway.